Windsor Therapist: Enlighten Counselling Services - Therapist N8X 3X5. Send A Message To Enlighten Counselling Services. Are you trying to resolve your problems? Do you feel stuck? Do you want to improve the relationships in your life, and feel happier? Counselling is the first step in addressing these issues, and working toward making improvements in your life. Counselling can improve mental and physical health; as well, providing the tools to cope, improve, and overcome problems faced. 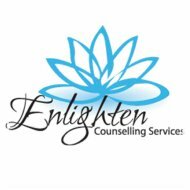 Enlighten Counselling Services provides individual, couples, and family counselling for adults specifically in the areas of: depression, anxiety, stress management, and life transitions (i.e. starting a family, job loss, or divorce). I work with clients to achieve their goals. Counselling is a place where clients learn about themselves, and how to be the best version of themselves. Shally Lakshminarayan is a Registered Social Worker in the province of Ontario. She attended Wayne State University to obtain her Master of Social Work degree. She has worked in various professional settings specifically in the areas of mental health, which contribute to her experience and knowledge to work with her clients.